A chieftain of the All Progressives Congress (APC) in Rivers state, Chief Eze Chukwuemeka Eze, has commended the Supreme Court for proving that it indeed had a good grasp of the nation’s laws. Eze praised the apex court for the exposition on the gimmicks so far used by the pack including the Rivers state governor, Chief Nyesom Wike, Senator Magnus Abe, Justice Chinwendu Nwogu of Rivers state High Court, sitting in Port Harcourt and the Appeal Court, to rob the APC of its space on the ballot in the upcoming general elections as announced by INEC. The vocal party chieftain also congratulated the people of Rivers state, especially members of the APC, for the impending victory, as indicated in the exposition and revelation made of the gimmicks of those bent on robbing the party and by extension, the people of the state, of their franchise. 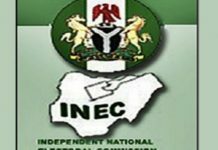 It would be recalled that the Supreme Court, while approaching its decision in a substantive matter, concerning the APC on Monday, revealed that the cases and judgements so far given against the APC and its candidates in Rivers state had been based on an obsolete and expunged provision of the Electoral Act, making all the court decisions so far delivered against the party and its candidates, so far, to be in error and void. “This was achieved when counsel to Ibrahim Umar and others, Barr. Bello, in his usual zealousness, cited section 87 sub-section 9 in support of his argument, on whether it was a pre-election matter, but one of their Lordships requested him to read sub-section 10 and after he read it, His Lordship told him that sub-section 9 that he is relying on to argue that the matter is a pre-election matter had been amended and that the particular sub-section 9 had been deleted. This means that Bello, who is the counsel to Ibrahim Umar and others, has been using an old edition of the Electoral Act to deceive the justices of Court of Appeal, which implies that all previous judgments in favour of Wike and Abe by the Appeal Court were all in error”, he explained. He, however, noted that the ploy to cause damages on the unity of the APC in Rivers state was not only wicked and malicious, but also unglodly, praying and hoping that all necessary steps to expunge the devious plot would be set in motion by the relevant institutions so that the rescue mission of APC in Rivers state will not be an exercise in futility. 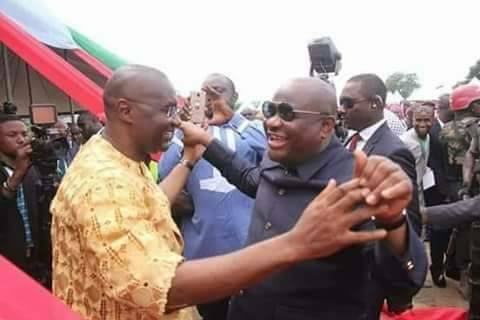 “The world can now see the type of politics that Wike and Abe are playing to deny Rivers state and her people a just and God-fearing leadership come May 2019, but thanks to God who has exposed them for what they are”, he said. Eze reiterated that Section 87(10) of the electoral as amended made it very clear that no Court has the power to stop an election even when an aspirant goes to Court over the primaries so Wike and Abe were only playing pranks in order to derail the democractic process in Rivers State and sabotage the rescue operations of APC in Rivers State. He went on to commend and congratulate the APC leaders and members for resorting to prayers and fasting, which he said had “resulted to the exposure of the type of judgements so far obtained by this duo that were hellbent on decimating and destroying the peace and unity of Rivers state APC”. He encouraged members to continue with prayers and fasting “until we rescue our state from the hands of those whose mission in Rivers state is to improverish and cause underdevelopment of the state.